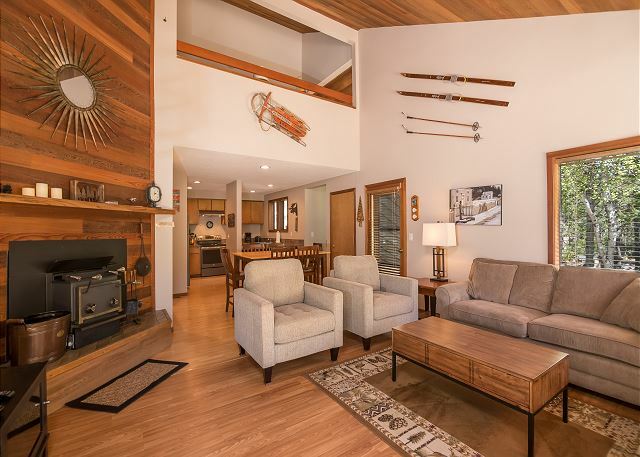 Welcome to Camas #21, the PERFECT spot for your next Family Vacation! Camas 21 is centrally located and just down the street from Fort Rock Park...Bring your well behaved dog along too! At the park you can enjoy playing a game of basketball, tennis, or baseball, or just take the kids to enjoy the large playground space. In the winter, this is a great place to practice your cross country skiing, build a snowman or have an old fashioned snowball fight! 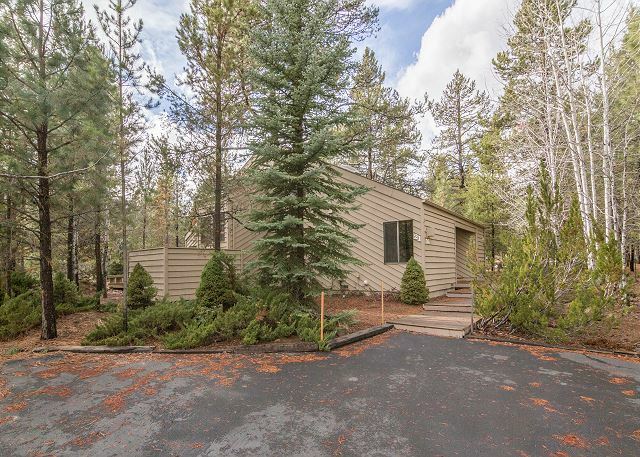 This spacious 4 bedroom Sunriver vacation home has been beautifully updated! 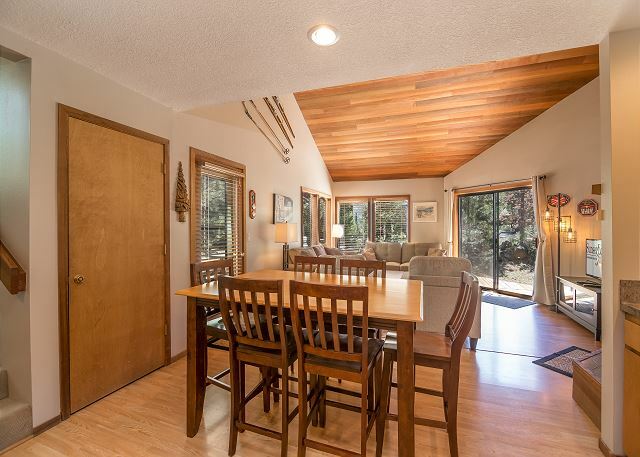 This home boasts new couches, and living room furniture and new drapes are hung over the sliding door to the deck! 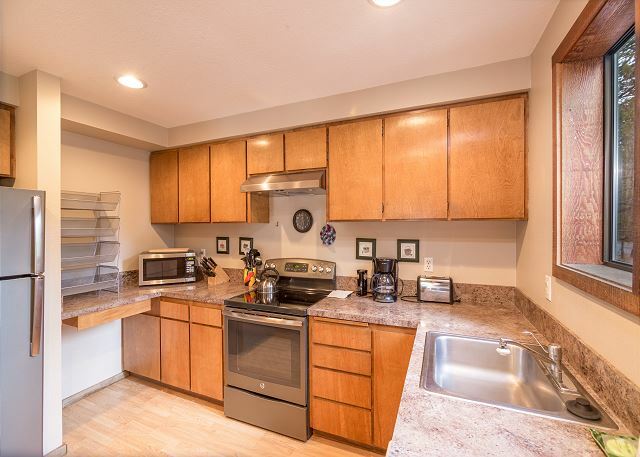 Cooking in the newly updated kitchen with the new stainless steel appliances will be a delight while you're on vacation! The light and bright kitchen with open concept seamlessly connects to the dining room with new gorgeous high boy dining table that seats up to 8. There are 3 more seats available at the kitchen bar on the new bar stools nearby. The dining area opens to the living room space so that the whole group can be together while preparing meals and enjoying each others company. Sit and relax after a day out cruising on any of the 6 included bikes (located in the bike shed near the front entrance) and enjoy a movie on one of the many new flat screen TV's. There are over 30 miles of paved trails to get out and explore on the bikes or take your pooch for a long walk. 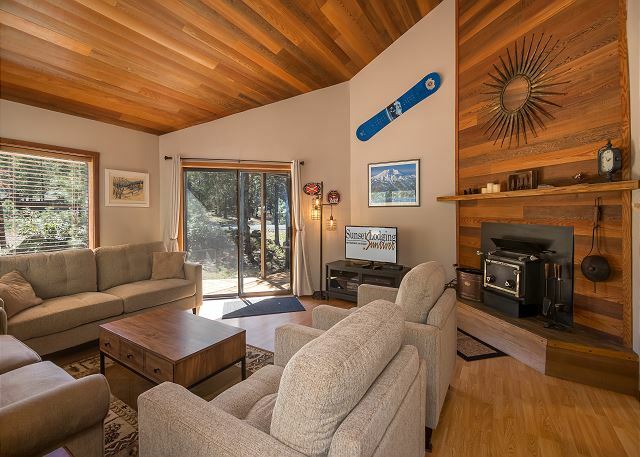 The Living Room space is also perfect for curling up and reading a book in front of the cozy fireplace or sneaking in a nap after a busy day. 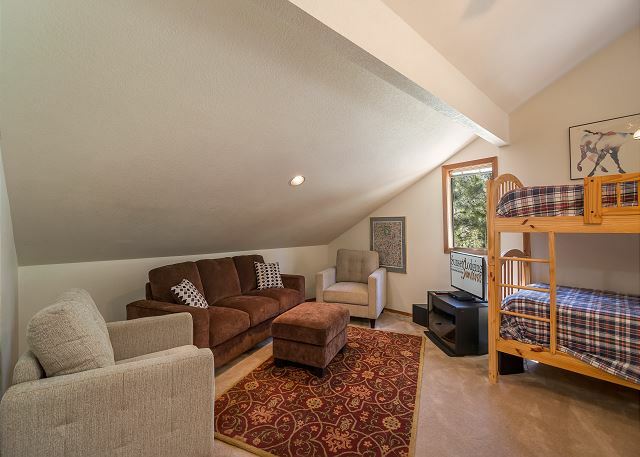 This home is great for a group retreat and families alike! 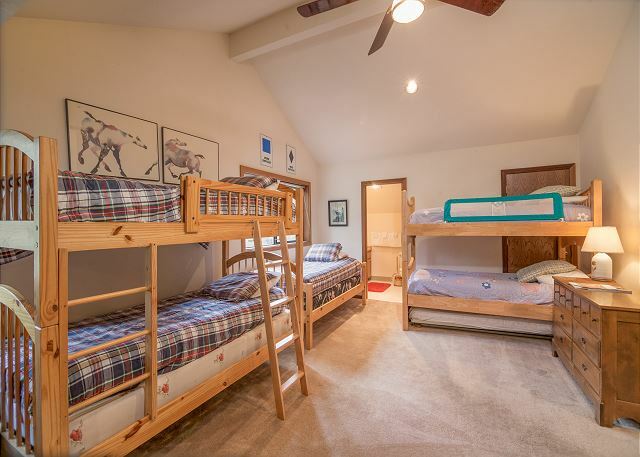 There are 2 King beds downstairs (one is a master bedroom), 1 Queen upstairs, also upstairs you will find a bunk room with 2 sets of bunk beds (perfect for the kids), and 1 twin with an attached bathroom. The bunk room also has a separate space for relaxing with a couch and 2 comfy chairs perfect for a lounge space. 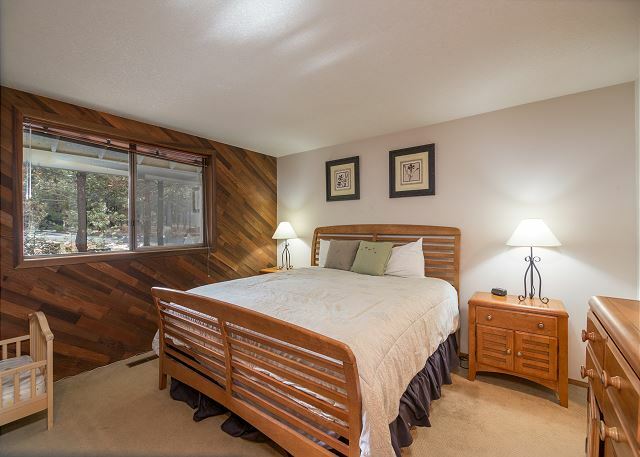 There are plenty of sleeping areas for up to 10 guests, and with every bedroom equipped with new flat screen TV's, everyone is sure to be satisfied and comfortable. 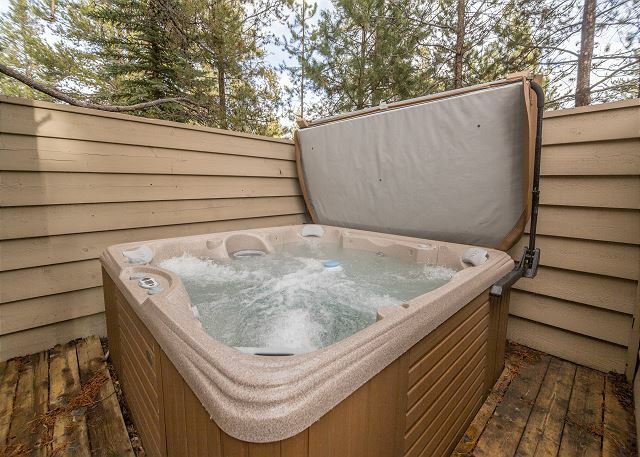 You can always retreat to the brand NEW hot tub to warm up and relax, or stargaze after a fun filled day enjoying one of the many activities Sunriver has to offer. The newly refinished decks are the perfect place to catch some rays while unwinding or grill up your favorite meal on the NEW high end Weber Genesis Gas BBQ Grill, and enjoy your meal in style! 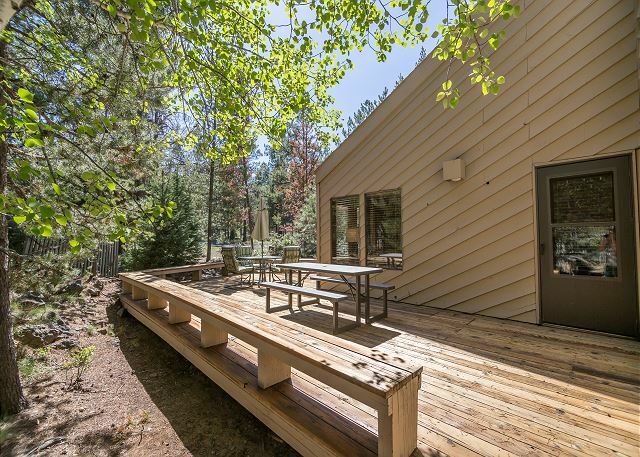 Dine outdoors while watching the wildlife from the outdoor patio furniture. There are also Adirondack Chairs and a picnic table along with other outdoor seating with enough seats for the whole group to sit and relax. 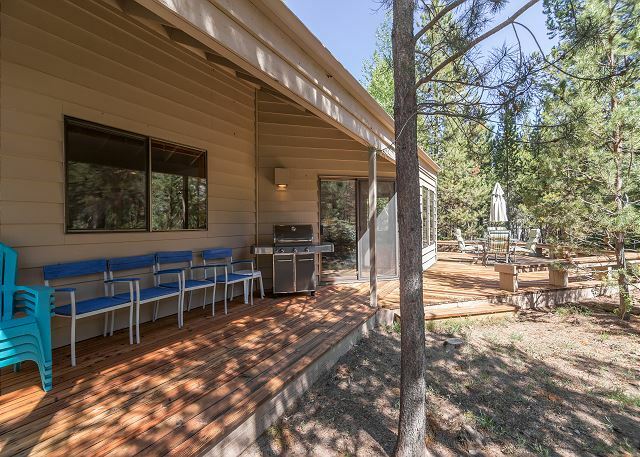 This home provides 10 Unlimited SHARC passes, free tennis, and pickle ball and free access to the Sunriver Marina! 2 Kings, 1 Queen upstairs, bunk room master upstairs with 2 sets of bunk beds and 1 twin, 1 full hide-a-bed in living room, NEW WEBER GENESIS BBQ, NEW HOT TUB, 5 flat screen TV's, 4 DVD players, i-Pod dock, D/W, W/D microwave, 2 levels, fireplace insert, 6 bikes, walk or ride to Fort Rock Park. 2216 sq ft, 3 star,10 Unlimited SHARC passes, free tennis, pickle ball, and free marina access. Our family of 9 enjoyed our stay at Camas 21. It was a snowy day when we arrived but the walk was cleared and salted. The driveway was partially cleared also. There was a shovel located in the storage shed which we used to clear a path to the hot tub after the snowfall which came during our stay. 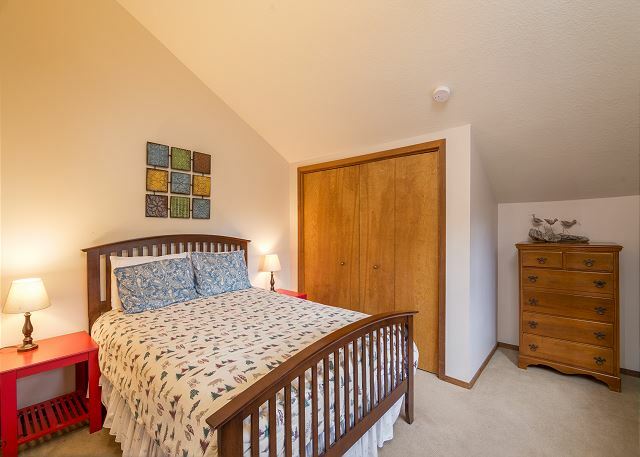 Bedroom space was more than adequate with two bedrooms downstairs including the master which was used by Grandpa and Grandpa plus lots of bunkbeds in an upstairs room for the kids. There were lots of pots and pans and plates and bowls but flatware was lacking. Perhaps items also could be more organized, there was plenty of cabinet space. We particularly liked the basket/shelves in which we could put our own grocery items. There were bikes and SHARK passes but we just used the hot tub. Thank You for your 5 star review, Carol! So glad your family was able to have some fun in the snow here in Sunriver and that the house was spacious enough for the whole group! We hope to see you again soon! Wonderful house! Great location for skiing on my bachelor. Wonderful house! 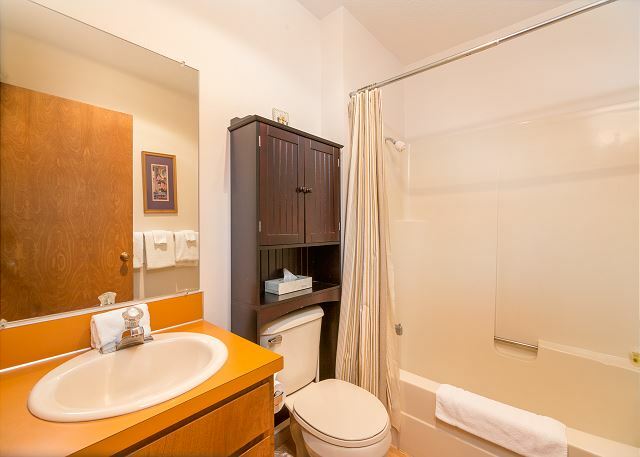 King bedroom with a bathroom. 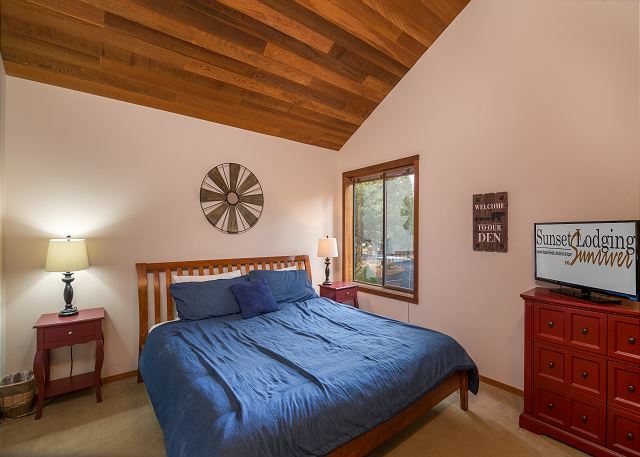 Two queen bedrooms and a larger room with bunk beds. This worked out wonderfully for our group. My only complaint would be the main bathroom downstairs stopped working and I was not able to get into contact with the owners of the home. Other than that highly recommended. Thank You for the review Rachel! Glad you loved this wonderful home. I am sorry you weren't able to contact us about the bathroom, we have maintenance on staff around the clock to take care of issues that may come up during vacation stays! Next time please give our office a call and we would be happy to help. Sounds like the home was perfect for your group, we hope to see you again! Typical Sunriver. We enjoyed it. Hot tub and furnace worked well- essential for our mid winter stay. Kitchen was good, although the good coffee pot was broken, they had a back up. Bedding could use some refreshing ; the throw pillows on our bed were a bit dingy. The living room could use some additional lighting. We were there at Christmas and wished they had a tree like some rental do. These were all minor issues for us. Overall the place worked quite well for our family of nine. Thank You for your review, Jeremy! Glad to hear that this home worked well for your family and we hope to host you again soon! Our second time at Sunset Lodging. We had a great experience. Closeness to Sharc Park was the best. 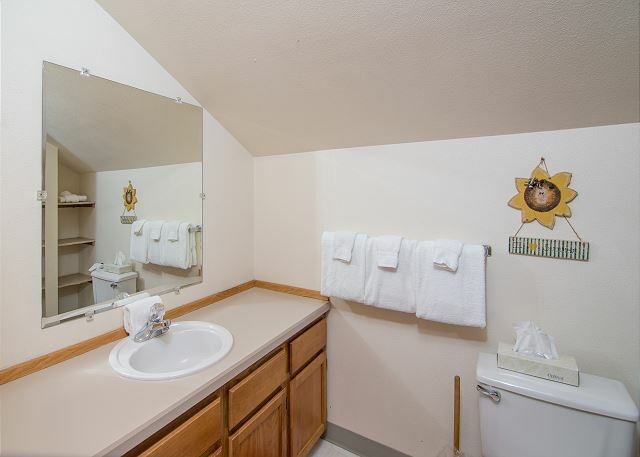 Not especially fond of the layout of the rooms, kitchen too small, floors squeak, doorknobs rattle. Obviously needs updating. Will try a different unit next year. Thanks so much for the review Forrest! We appreciate your review and will forward your suggestions to our maintenance staff to be looked at. We hope to see you again soon! Very positive with one exception ....the BBQ grill. Need to be replaced. The Camas #21 property we recently stayed at was walking distance to Fort Rock and a short bike ride to the Sharc center & village. For the most part we were satisfied with the house. It could use a few improvements. The sliding glass door does not lock and another door to the deck sticks. Some outlets did not work and one of the tubs had a faulty temperature gauge/faucet. We were told that 2 fans would be in the house, but on our arrival we discovered that there were none. We called and within a short time 2 were delivered. Other than that the home was well stocked with necessities, though renters should be aware that napkins are not supplied and other paper products are 'starter stocked' only. Also, we were surprised to find the BBQ was quite small, especially for a home that could accommodate up to 10 people. Just some info for future occupants. Thanks for your feedback Dana! 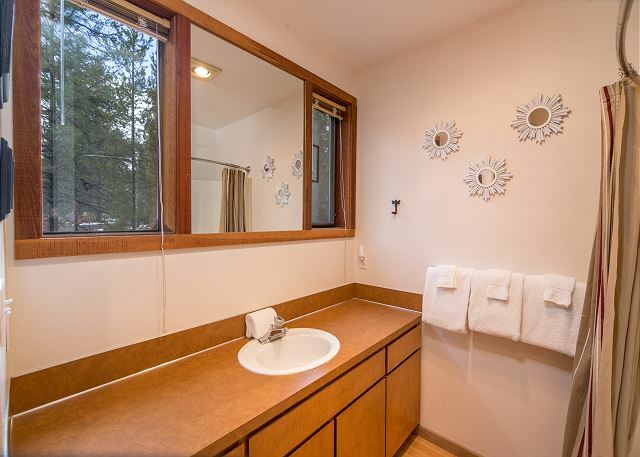 Well have maintenance take a look at these things and fix whatever we need to fix to make Camas 21 your home base in Sunriver. We hope you will get back soon and thanks kindly for choosing Camas 21 and Sunset Lodging, we really appreciate your business. 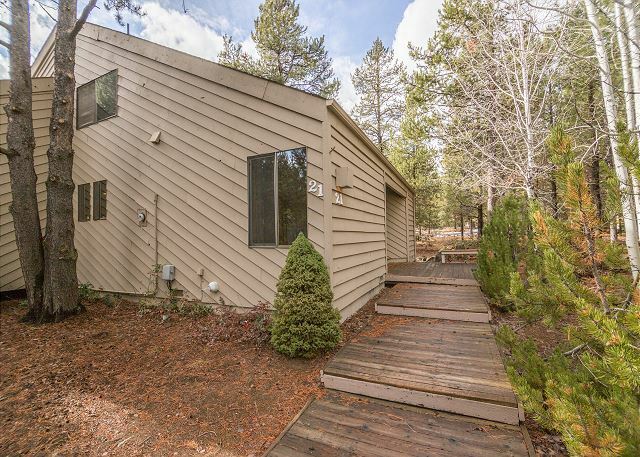 We had a wonderful time in sunriver during the holiday season, we stayed at this house for 5 days and it was wonderful! We were very comfortable and the customer service was amazing! House was very clean and all the beds extremely comfortable. Would absolutely stay here again! 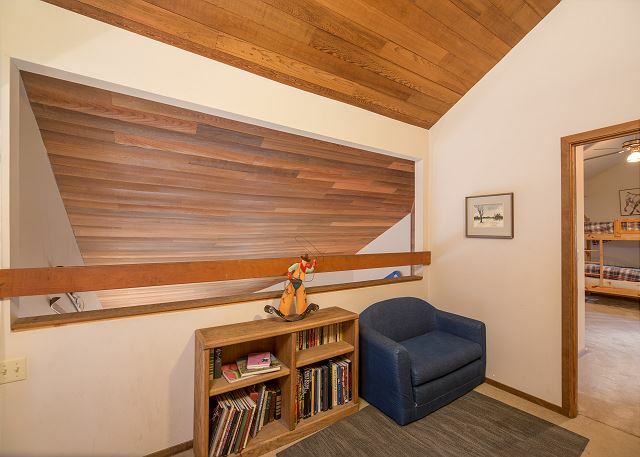 Room for four generations with room to spare. Lots of extra storage space. 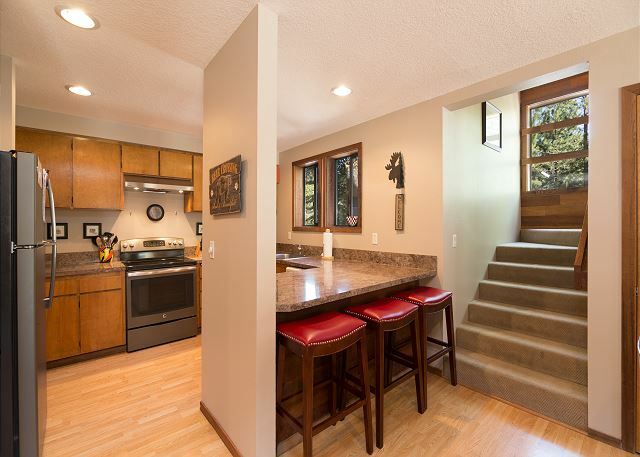 Great pantry area and ample kitchen area. Rick, I don't know if there is a greater complement for a family run business like ours than to host four generations of Sunstroms!! 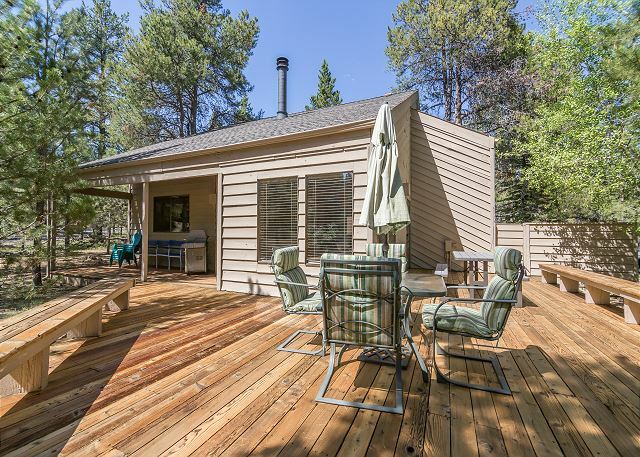 We hope Sunriver will be a Sunstrom tradition for generations to come! Thanks so much for the privilege to host your family, we're counting the days til you return! Great house for several families with kids. Does not have AC so can get warm on hot days. Cools down nicely at night. Would stay again. We're so glad to have had the chance to host you, Kyle! 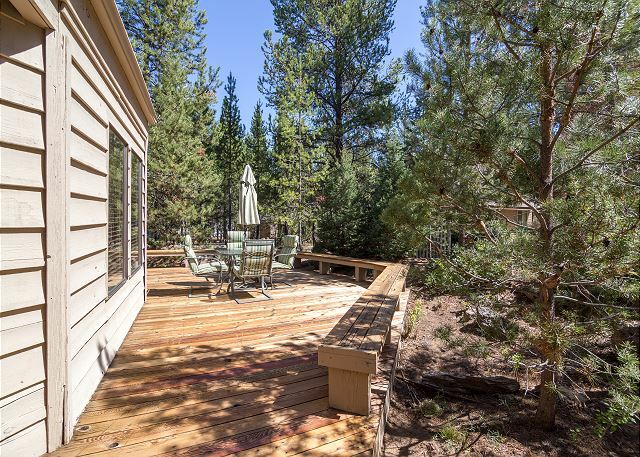 We hope to get the chance to host you and your family again in Sunriver! The house is located in a great location, plenty a space for everybody, lots of supply, overall good fit for our family. We are so glad you enjoyed your stay, Benjamin :) We love having great renters like you! lots of bikes, Shark passes are a plus. We will certainly keep this unit in mind for future family gatherings. We're glad you had a great time, Bonnie! Hope you come back soon! We had a great time. Fun place to stay. Great house for families. Good experience with the property management company. Air conditioning would be nice. I knew it did not have any when I rented it. Cools down well at night. Sunset staff very pleasant and helpful! Kudos to them. Overall, a very good value! We're happy. Thank you for your review! We are glad to hear that you enjoyed Camas 21! Unfortunately, from time to time, Broadband does a systemwide update and Tv's can be affected and need to be reset, It sounds like they got reconnected for you! Thank you for the compliments to our staff, we pride ourselves on customer service ! ...and we will check on the safety of the heaters! Hope to see you again soon! The home everything we needed and was in a great location. We enjoyed our stay and would stay there again.